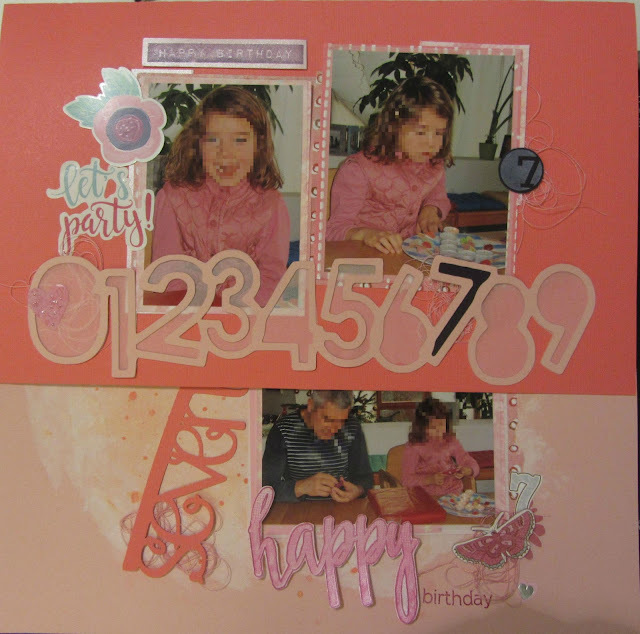 For the challenge of lasting memories and the studio challenges I did another birthday-layout today. 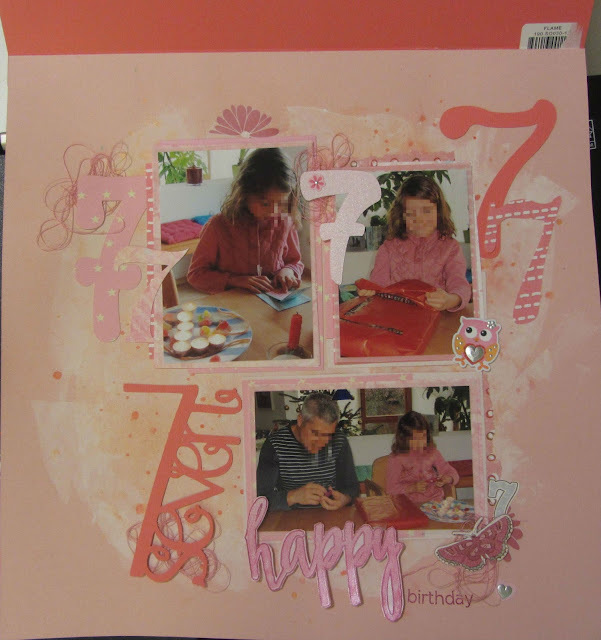 I used lots of numbers (both blogs have the challenge: use lots of numbers...) especially the 7 - cause it was the 7th birthday of my daughter (surprise, surprise ;-) ). I designed a flip page, cause I didn't want to make more than one page for the birthday-morning theme. Love your layout! You nailed our number challenge with such a sweet themed layout. Thank you so much for joining us at The Studio Challenges.